The Summer Games are on from August 5 -21 and people from all nations are watching the world’s top athletes as they go head to head for the glory of their country. 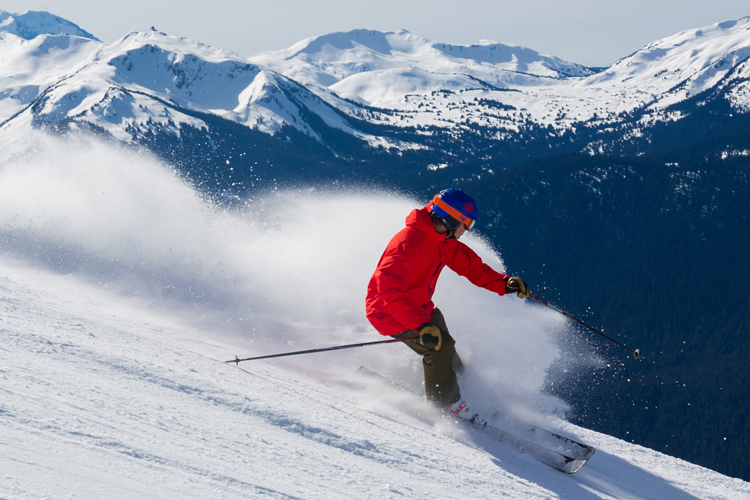 We’re no stranger to Games Fever here in Whistler. 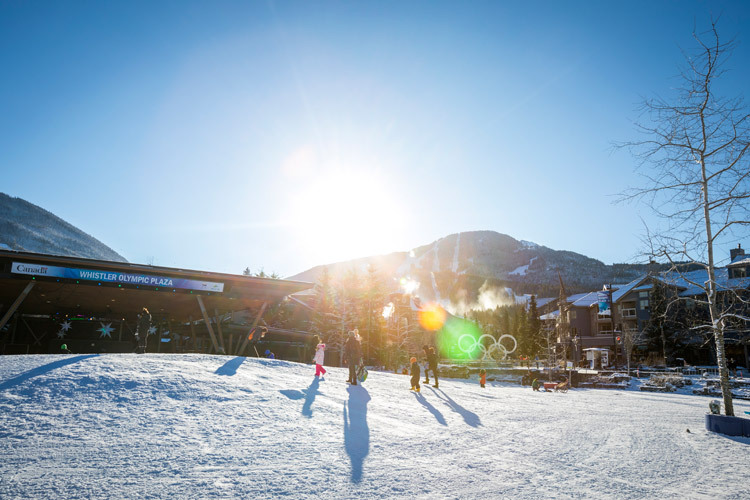 As a proud Host Mountain Resort for the Vancouver 2010 Olympic and Paralympic Winter Games we’ve got a fondness for the spectacle, the athletic prowess and the sense of international camaraderie that this massive sporting event brings. The Games have left their mark here. 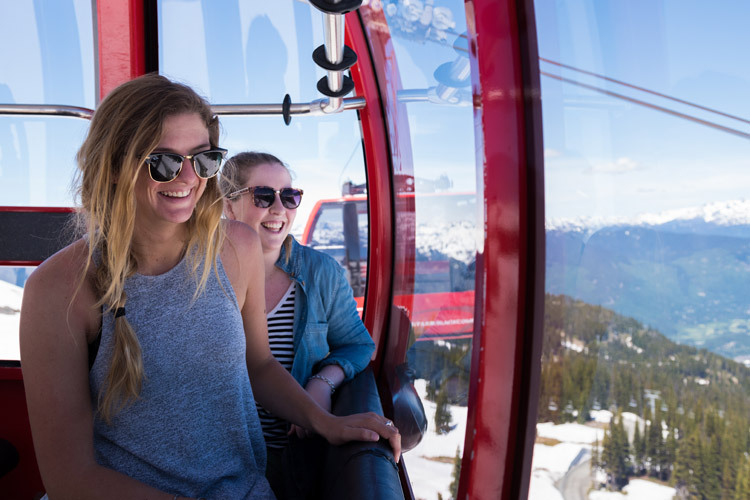 Not only do we have local Olympians to be proud of, you can check out the actual Olympic Rings and Paralympic Agitos at Whistler Olympic Plaza as well as Olympic Rings at Whistler Olympic Park and Creekside on the legendary Dave Murray Downhill ski run (best viewed from the Creekside Gondola). 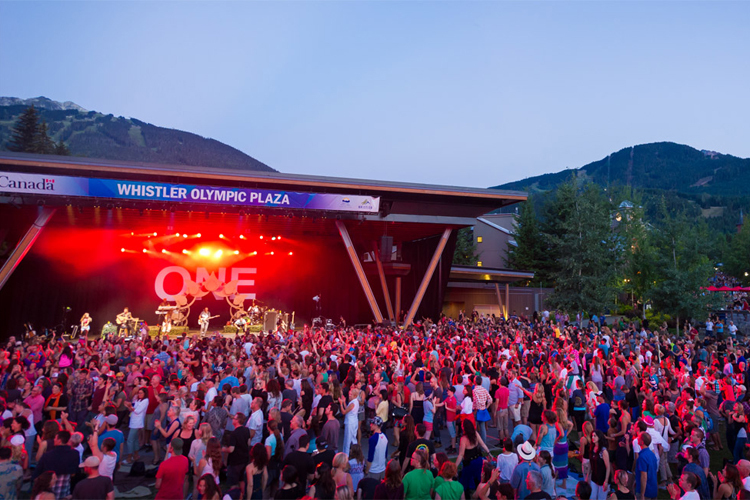 The venues are open during summer and even on a sunny summer degree day you can visit the Whistler Sliding Centre and roll down the very same track where Canadian teams won gold on back in 2010, or try summer biathlon out at Whistler Olympic Park. If you’re looking to get into the spirit and cheer on your country, we’ve got plenty of places to watch the 2016 Games here in Whistler. So get up, get out, get inspired along with us. Go Canada Go! 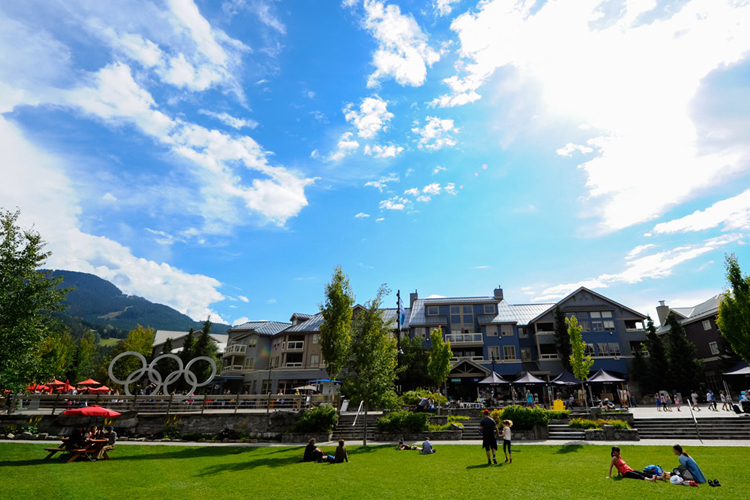 The Resort Municipality of Whistler has set up a big screens in the Plaza where you can laze on the grass in the sun and watch the broadcast from CBC, daily from 10 AM to 4 PM. Times are subject to change depending on other events and concerts. The CBB is broadcasting all events as shown on CBC and NBC from their location in the Hilton Resort and Spa Whistler. They are sweetening the deal with daily drink features and authentic Team Canada giveaways. BONUS! Get your picture taken (upon request) with their very own Torch from the 2010 Winter Games. Hop on over to Earl’s for their broadcast with an emphasis on Canadian events. They have Happy Hour specials from 3 – 6 PM on drinks and appies (and a pretty darn nice patio too). Check out Whistler’s other restaurants and pubs – many have screens and may be showing some or all of the Games. 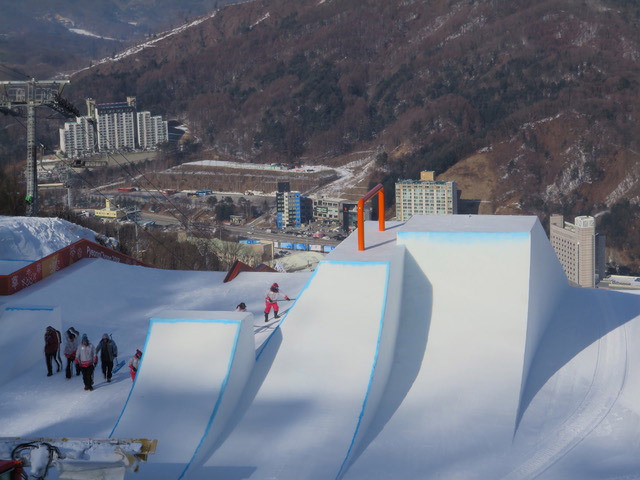 Did you know you can do most of the sports features in the Games here in Whistler? Here’s our quick and dirty guide to trying some of the Summer Games sports. Bear with us – we’ve gone a little creative in places. Archery: Let’s go for the accuracy here – try aiming a water gun at Meadow Park or a round of disc golf. Athletics: Running, jumping, vaulting over things. Sounds a lot like a good trail run or alpine hike through some technical terrain. Or for the kids, a visit to one of our fantastic playgrounds. Badminton: Sure thing. Bring a net to any park and set up your own competition. Basketball: You can find public, outdoor hoops at Alpha Lake and Meadow Park. Beach volleyball: Head out to Rainbow Park or Alpha Lake Park where there are lovely sandy courts waiting for you. The local association meets a couple of nights a week if you want to spectate. Canoe sprint, Rowing: First across Green Lake, go! Choose from canoe, paddleboard or kayak for full on water fun. Cycling – BMX: YES! The Whistler BMX Club has just opened a track right here in Whistler, with Provincial Qualifiers happening August 14. Come and check it out! Cycling – Road: Yes ma’am. We love to cruise the highways and byways on our road bikes, and we’ve even got the RBC GranFondo coming up in September if you decide you want to try a mass ride. Check out some suggested cycling routes here. Cycling – Track: We don’t have a Velodrome but you could do a nice, cruisy Valley Trail loop instead. Other options include the new Pump Track at mid-station in the Whistler Bike Park just before the A-line drop-in, the Family Cross track under Fitzsimmons Chair and of course if you prefer to watch see the mad heroes of slopestyle take on the Red Bull Joyride on August 21 as part of Crankworx. Diving: Diving off a dock counts, right? Keep it safe and always check the water depth before diving in. Equestrian: You can ride over mountains on a horse instead of jumps – the views are definitely better. Tours for all levels available. Fencing: We don’t go in for too much sword play here in Whistler – but if you want a game of skill where sharp wits and fancy mental footwork are needed, try Escape! Whistler. Field hockey: Ice Hockey at Meadow Park’s indoor rink! Golf: Play your way through all four championship courses and you might just qualify for the next Summer Games. Gymnastics: Check out the Whistler Gymnastic Centre at Cheakamus – there’s parent and tot drop in nights if you want to try tumbling. Marathon Swimming: As the triathletes of Subaru IRONMAN® Canada just showed us, you can go round and round a lake many times for fun – wetsuit recommended for lengthy swims. Modern pentathlon: Well, this just looks like an excuse to pick your five favourite activities and go for it. Here’s a list of all the summer activities you can pick from. Mountain Biking: Enduro, cross country, downhill? We got this one covered with both a world class lift assisted downhill park and an incredible trail network. Did we mention the biggest mountain bike festival in the world, Crankworx, is just around the corner? Sailing: Alta and Green Lakes are recommended for sailing – you can even get lessons and boat hire from the Whistler Sailing Club. Check out the Point Artist Run Centre while you are over that way for a little art with your craft (hyuk). Shooting sports: Biathlon! Available to try summer and winter at Whistler Olympic Park. 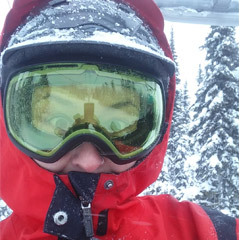 Check out their other activities which include orienteering hiking trails and electric assist fat bikes, perfect for cruising the ski runs and finding the Olympic Rings and ski jumps. Tennis: The Whistler Racquet Club, is right by the village if you want to have a game or sign the kids up to some summer lessons. Other courts are found around town at Alpha Lake, Meadow Park and at some of the bigger hotels. We’re proud of our Canadian athletes and we’re proud of our active, outdoor lifestyle. If you want to pop up and visit us sometime, Whistler.com can help out with the details. And if you want to start planning a few Winter Games experiences, now is the perfect time with early booking deals on accommodation and more.